Does your office seem like it’s lacking some life? Maybe the color doesn’t pop, or the shapes of your graphics don’t stand out. Or maybe the environment seems unsettling, and you need a unifying piece to tie everything together. 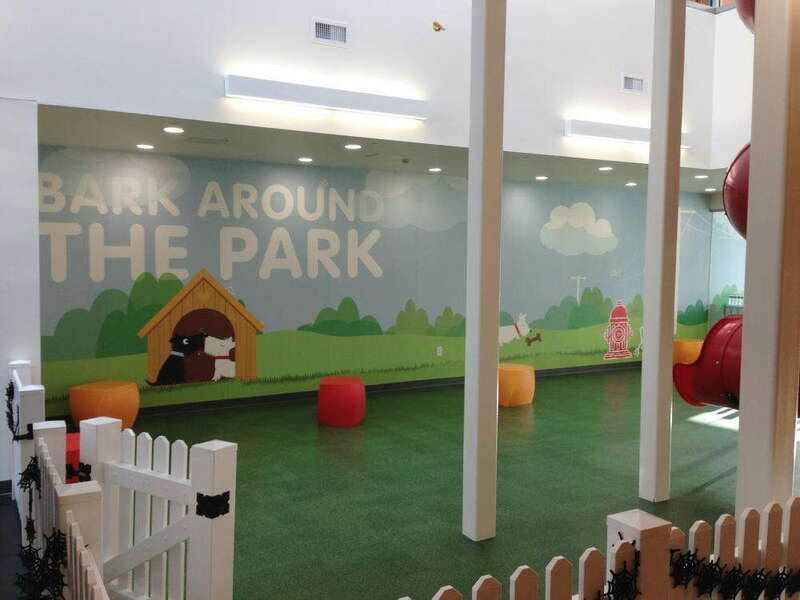 These issues can be easily fixed by adding a large format wall mural, courtesy of SpeedPro. 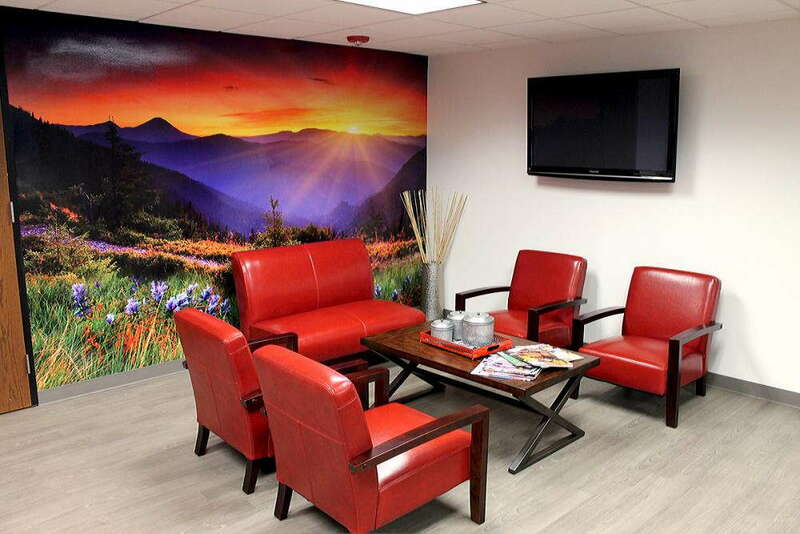 Our skilled team at SpeedPro Imaging DuPage will work directly with you to discuss your branding needs and help identify what and where you need a printed wall mural to better connect with your customers as well as your employees. Watch as your office building turns from a quiet and bland space into a lively and welcoming area. If your business or organization is located in the counties of DuPage, Will or Kane, contact us today, and we’ll get started! Our first task in adding a printed wall mural to your office is to figure out where it should go. You’ll want to find a place that already receives a lot of attention, like a lobby or central meeting area. Our second task will be determining who you’re trying to connect with and who the mural is meant for, such as your loyal customers or your everyday employees. For example, you find your building receives a lot of visits from customers and potential clients, but your sales are not where they should be. Could it be that the experience they receive is turning them away? They may like your sales pitch and the offers you have but now know what makes you stand apart from the rest. This problem is easily fixable! Give them the experience they deserve and are looking for by making their visit welcoming and exciting. Greet your customers in the lobby with an expansive vinyl wall mural that boasts bold colors and perfectly represents the story behind your business or shows what keeps your brand alive. They’ll see this display and, once their attention is caught, remember it as they stay in your building for their visit. Sometimes, though, it’s not the customers who need a wall mural to grab their attention and make them think — it’s the employees you work with. All too often in an office setting, workers will feel unmotivated or lack in spirit. This situation might not have anything to do with the work, but with their surroundings and environment. 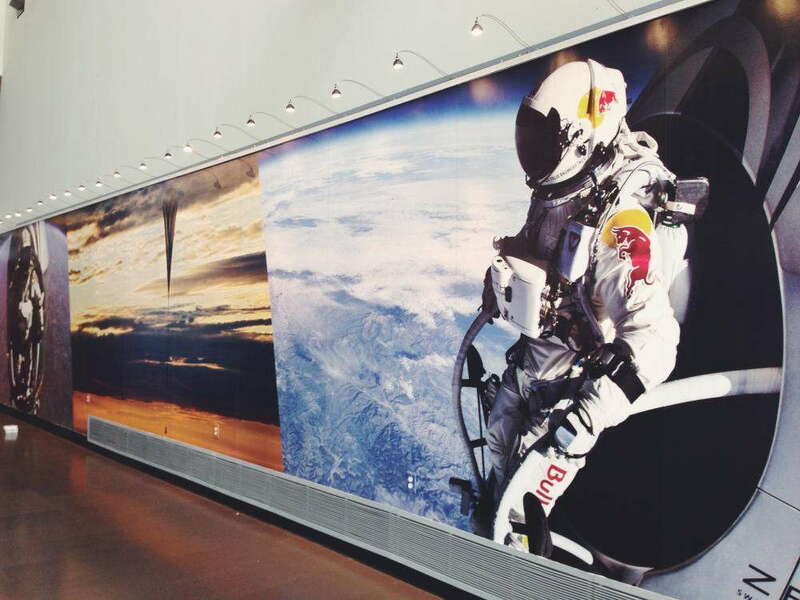 When you install a large format wall mural, your employees will see it every day and be reminded of your company’s goals and drive. Place it near their cubicles, and they’ll see it when they look up from their desk. In a shared kitchen area, they’ll feel their emotions and excitement levels rise when engaging with other coworkers. You can even place one inside your conference room to help direct discussions and remind everyone of your goals and successes. Large format wall murals do so much for an office setting, whether it’s to convince customers, center the environment or remind employees of the business goals. If you find yourself in need of a large centering piece in your office, contact our studio today! We’ll set up a consultation appointment to start learning about your business and brand.